Helping our Veterans discover the dream of homeownership in Northern California since 1981. 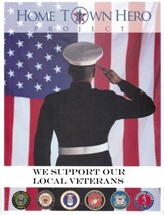 Welcome to the official website for the Homes For Veterans! The Homes for Veterans is a group of committed local professionals specializing in VA LOANS and VA REAL ESTATE services in the greater Sacramento area for over 25 years. Purchasing a home using the a VA loan requires experience and knowledge of the complexities of VA financing. Let the experienced staff at the Homes For Veterans guide you through the homebuying process. Veteran homebuyers need a professional with the knowledge of all the benefits of homeowners to Veterans and the resources to help them acheive the dream of homeownership. We are open to all Veterans and their families...to honor and thank Veterans for their service to the country. Call us at(916) 781-VETS or email us for a free, no hassle loan pre-qualification or for a list of homes available in your desired areas. Craig Beechum is an industry leader in VA lending in the greater Sacramento area. Owner of Community Home Mortgage and Homes For Veterans, Craig is an approved VA originator and is proud to have served Veterans with their VA home loan needs for over 25 years. Visit the Homes For Veterans team page to learn more about Craig and the Homes For Veterans team! 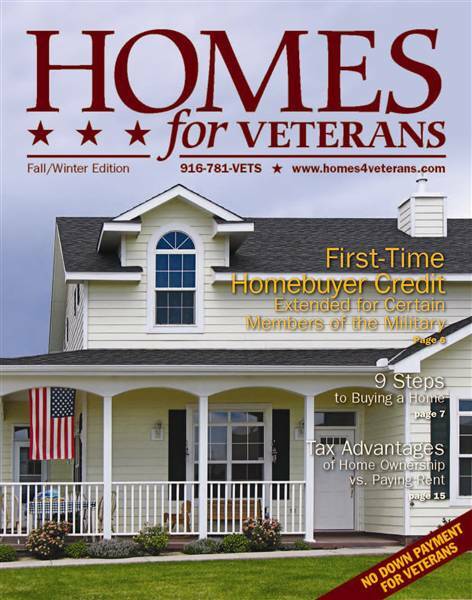 Look for the free Homes For Veterans magazine at many newsstands throughout the greater Sacramento area- or email us and we'll send you a free copy!